New York City labor unions are preparing to back the unwieldy grassroots band occupying a park in Lower Manhattan, in a move that could mark a significant shift in the tenor of the anti-corporate Occupy Wall Street protests and send thousands more people into the streets. The Transit Workers Union Local 100's executive committee, which oversees the organization of subway and bus workers, voted unanimously Wednesday night to support the protesters. The union claims 38,000 members. A union-backed organizing coalition, which orchestrated a large May 12 march on Wall Street before the protests, is planning a rally on Oct. 5 in explicit support. And SEIU 32BJ, which represents doormen, security guards and maintenance workers, is using its Oct. 12 rally to express solidarity with the Zuccotti Park protesters. "The call went out over a month ago, before actually the occupancy of Wall Street took place," said 32BJ spokesman Kwame Patterson. Now, he added, "we're all coming under one cause, even though we have our different initiatives." The protests found their genesis not in any of the established New York social action groups but with a call put out by a Canadian magazine. While other major unions beyond the TWU have yet to officially endorse Occupy Wall Street, more backing could come as early as this week. Both the New York Metro Area Postal Union and SEIU 1199 are considering such moves. Jackie DiSalvo, an Occupy Wall Street organizer, says a series of public actions aimed at expressing support for labor -- from disrupting a Sotheby's auction on Sept. 22 to attending a postal workers' rally on Tuesday -- have convinced unions that the two groups' struggles are one. "Labor is up against the wall and they're begging us to help them," said DiSalvo, a retired professor at Baruch College in her late 60s who has emerged as a driving force in the effort to link up labor and the protests. DiSalvo is herself a member of the Professional Staff Congress, which represents teachers at the City University of New York. Recent anti-labor actions like Scott Walker's in Wisconsin "really shocked the unions and moved them into militant action," DiSalvo said, and the inflammatory video of a NYPD deputy inspector pepper-spraying several protesters on Saturday also generated union sympathy. "There's a lot of good feeling. They've made a lot of friends," said Chuck Zlatkin of the postal union. When a band of about 100 protesters showed up at a postal workers' rally featuring Rep. Jerrold Nadler (D-N.Y.) on Tuesday, complete with purple hair and big drums, "they went a long way towards touching people and making connections," Zlatkin observed. If unions move to support the protests in a major way, that could mean thousands more people marching in Lower Manhattan. Thus far the protesters have not managed to come near the 10,000 or so who attended the unrelated May 12 march on Wall Street. The Strong Economy for All Coalition, which receives support from the United Federation of Teachers, the Working Families Party, plus SEIU 32BJ and 1199, previously helped put together that demonstration. Now they will be rallying for the grassroots group. "Their fight is our fight," director Michael Kink said. "They've chosen the right targets. We also want to see a society where folks other than the top 1 percent have a chance to say how things go." Asked if the union support could dilute the message of the Occupy Wall Street protesters -- which has itself been dismissed as incoherent -- organizer DiSalvo said the rag tag group's stance would remain unchanged. 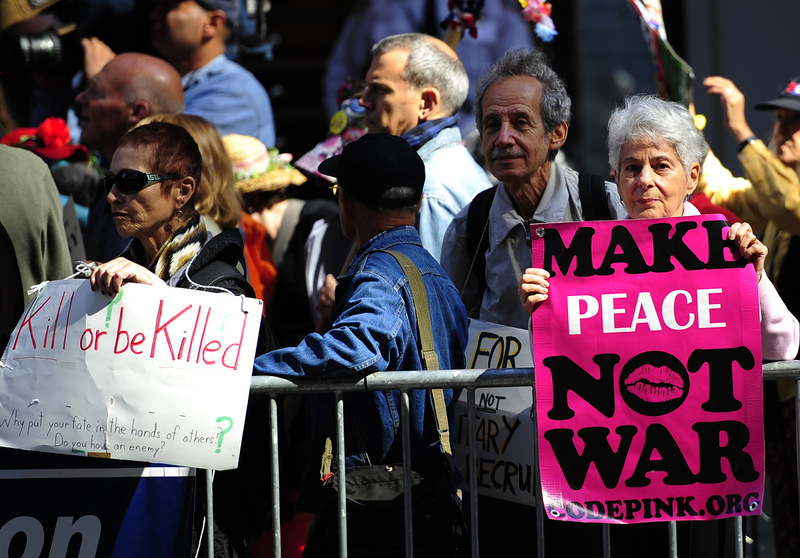 "Occupy Wall Street will not negotiate watering down its own message," she said, union support or not.